* Participants should come with their own equipment. The aim of the workshop is to learn new tools, which the participants can use in their own work. During the workshop the participants will get individual tasks focusing on different structures and composition concepts developed by Ron, learning ways to compose with their own circus discipline. Through those concepts we will create new routines while using our own individual tricks, techniques and movements. Most of the workshop is individual work and each participant should bring his/her own equipment. The workshop fits for all circus disciplines and for all levels from basic to advanced. 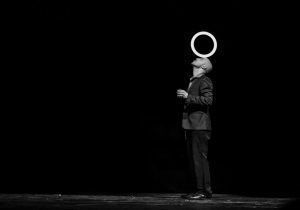 A juggler & circus artist born in a small “kibbutz” in the north of Israel. As a teenager he discover juggling through some kids on the street in his hometown. Beside a way of expressing himself through the Art form, Juggling becomes a medicine for his ADHD. In 2009 he moves to Stockholm where he graduated from the Dance & Circus University (DOCH). Later on he bases his own company BEERI in Sweden and Founded LAZUZ Company together with Itamar Glucksmann. Currently Ron is touring with LAZUZ, his solo projects, Claire Parsons Company and teaching in different venues and circus schools around the world.